Spring is a time for new beginnings? Get a fresh start with these five foods. They’re colorful, flavourful and full of the nutrients your body needs. 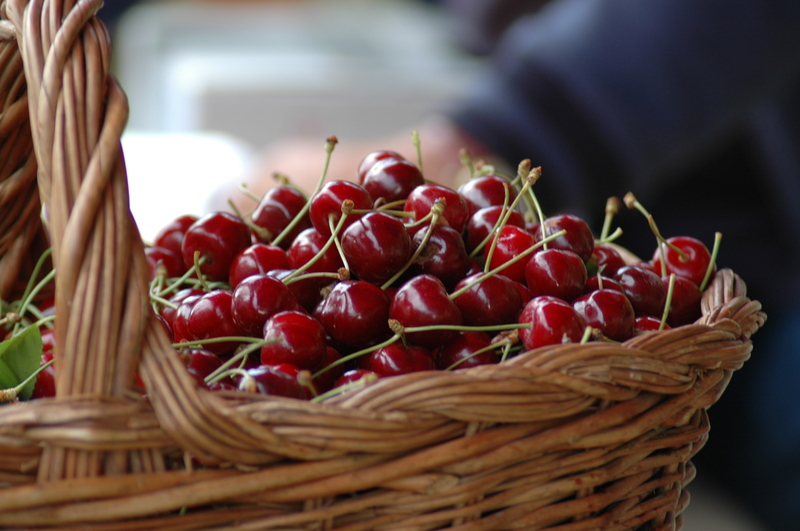 If you think of cherries as the syrupy, sugary stuff that comes in jars, think again. Chomping on fresh cherries in the spring will provide you with vitamin C as well as beta-carotene, which has antioxidant effects to prevent cell damage. If you haven’t tried this vegetable, similar to a radish or turnip, now is the time. It’s packed with vitamin C to boost your immune system and fiber for digestive health. It’s also versatile. You can steam it, roast it, sauté it, or cut it into slices and bake it to make crunchy chips. This exotic fruit is full of the vitamin E your body needs. Vitamin E is good for everything from skin care to brain health. In fact, two studies have tied vitamin E consumption to a lower risk of Alzheimer’s disease. Try fresh-cut mango on its own, or use it in a salad. Fresh asparagus is not only high in vitamin C and potassium, it also helps you get your fill of folate — especially important to women hoping to start a family. Getting plenty of folate in your diet helps reduce the risk of neural-tube defects in babies. Fennel, often used in Mediterranean dishes, has a delicate licorice flavor that makes it a great addition to sauces, soups and salads. And like other foods on this list, it is loaded with vitamin C, fiber and potassium. Potassium helps with everything from heart health to metabolism.